An exciting sight for miles around. 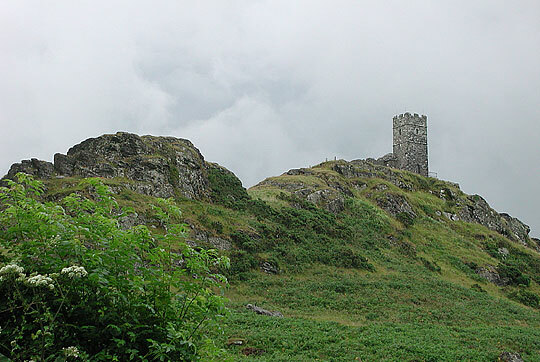 A small church (40 by 14 ft) with W tower on a steep cliff of volcanic stone, standing all alone with its W front not 3 ft from the precipice. The site must have been of importance long before, for the walls of an earthwork surround the rock. The tower, 32 ft high, is embattled and unbuttressed. 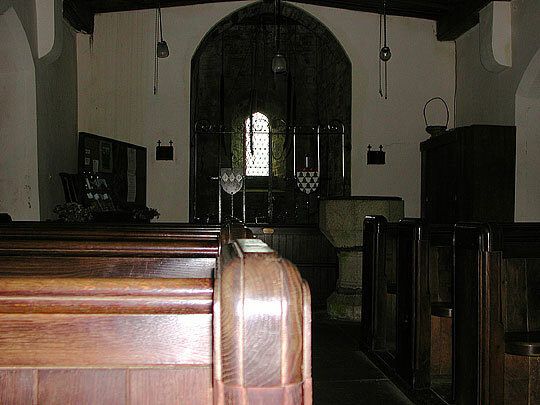 The body of the church has battlements on a corbel-table. Windows deeply splayed inside but only slightly outside, i.e. C13 at the latest, although some of the fabric may be C12. 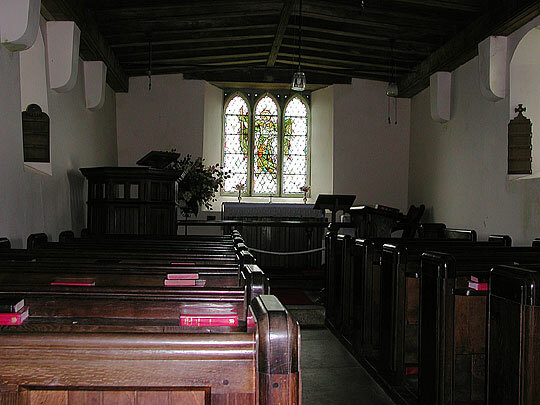 The earliest record of the church is before 1150. 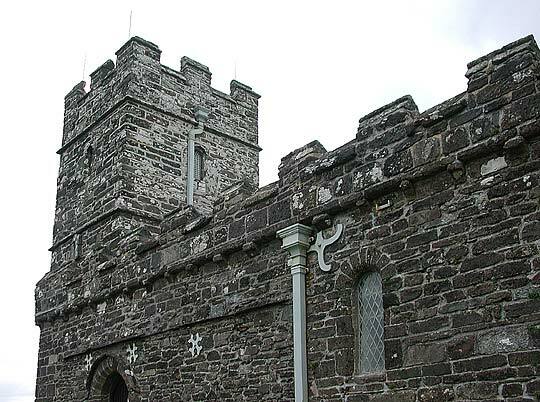 It belonged to Tavistock Abbey, which in 1232 established an annual fair here. There was a consecration by Bishop Stapledon in 1319. Restored in 1889-90 at the expense of the Duke of Bedford. 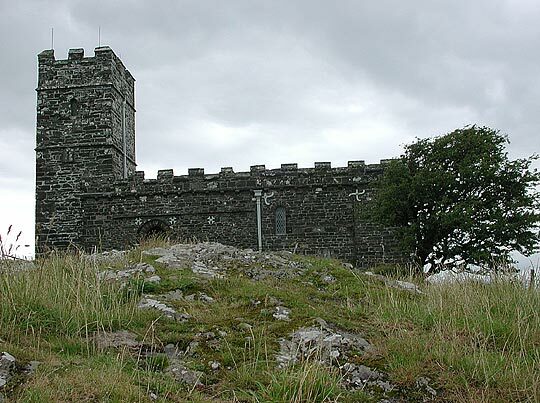 It is the highest parish church in England (340 metres above sea level) and the fourth smallest. On a clear day one can reportedly see Dartmoor, Bodmin Moor, Exmoor, Plymouth Sound and the Brecon Beacons.